Scientists seeking to bring fusion—the power that drives the sun and stars—down to Earth must first make the state of matter called plasma superhot enough to sustain fusion reactions. That calls for heating the plasma to many times the temperature of the core of the sun. In ITER, the international fusion facility being built in France to demonstrate the feasibility of fusion power, the device will heat both the free electrons and the atomic nuclei—or ions—that make up the plasma. The question is, what will this heating mix do to the temperature and density of the plasma that are crucial to fusion production? New research indicates that understanding the combined heating shows how we could improve the production of fusion in ITER and other next-generation fusion facilities—a key finding of physicists at the U.S. Department of Energy's (DOE) Princeton Plasma Physics Laboratory (PPPL), the DIII-D National Fusion Facility that General Atomics operates for the DOE, and other collaborators. "This shows what happens when electron heating is added to ion heating," said PPPL physicist Brian Grierson, who led testing of a computer model that projected the DIII-D results to ITER. 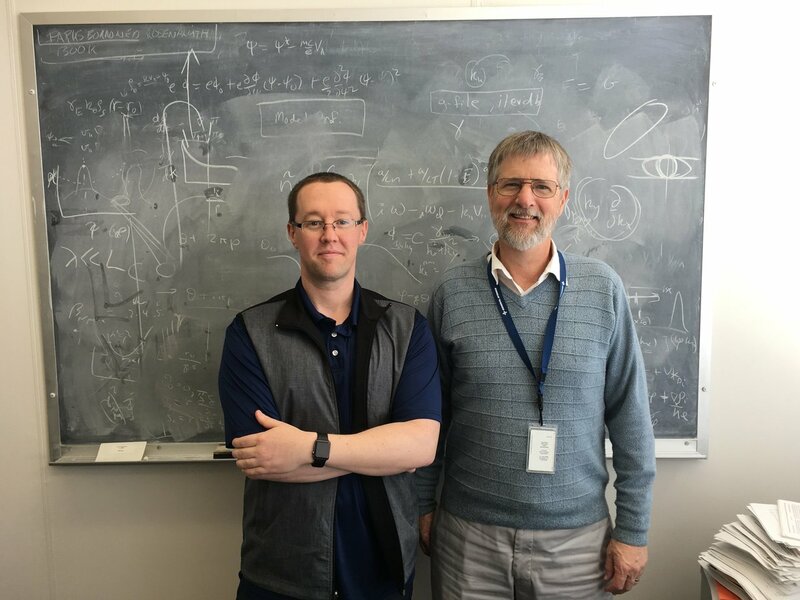 The model, created by Gary Staebler of General Atomics and reported in a paper in Physics of Plasmas with Grierson as first author, investigated the DIII-D experimental results in conditions mimicking those expected in ITER. Diagnostics supplied by the University of Wisconsin-Madison and the University of California, Los Angeles measured the resulting turbulence, or random fluctuations and eddies, that took place in the plasma. The measurements revealed turbulence with short-to-long wavelengths caused by electron and ion heating, respectively. The combination produced "multiscale" turbulence that modified the way particles and heat leak from the plasma. Turbulence can reduce the rate of fusion reactions. The combined electron and ion heating altered the gradient, or spatial rate of change in the plasma density. This finding was significant because the fusion power that ITER and other next-generation tokamaks produce will increase as the density grows greater. Moreover, the increase took place without causing impurities to accumulate in the core of the plasma and cool it down, which could halt fusion reactions. The scientists used a "reduced physics" model called TGLF that simplified the massively parallel and costly simulations of multiscale turbulence that require millions of hours of computing time on supercomputers. The researchers ran this simplified version hundreds of times on PPPL computers to test the impact on the model of uncertainties stemming from the DIII-D experiments. "The TGLF model exploits the weak turbulence properties of tokamaks like ITER," said Staebler. "It approximately computes the plasma transport billions of times faster than a gyrokinetic multiscale turbulence simulation run on high-performance supercomputers." The model looked specifically at the impact of electron heating on the overall heating mix. Researchers produce such heating by aiming microwaves at the electrons gyrating around magnetic field lines—a process that increases the thermal energy of the electrons, transfers it to the ions through collisions, and supplements the heating of the ions by neutral beam injection. 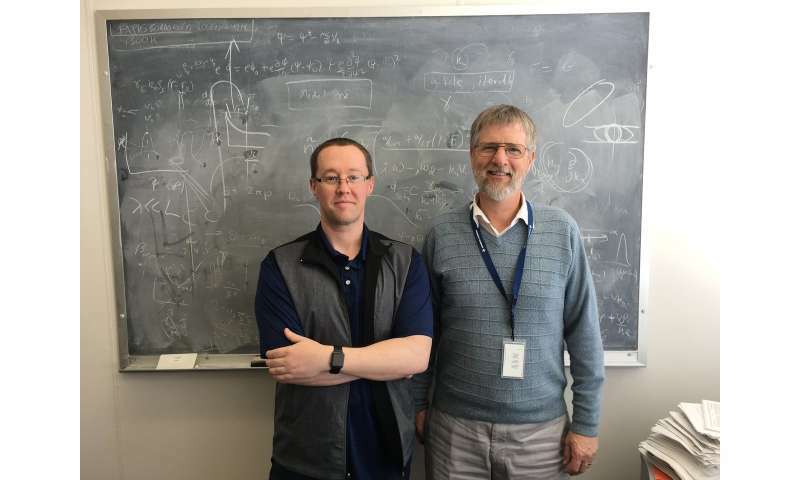 Results indicated that studying multiscale turbulence will be essential to understanding how to deal with the multiscale effect on the transport of heat, particles and momentum in next-generation tokamaks, or fusion devices, Grierson noted. "We need to understand transport under ion and electron heating to confidently project to future reactors," he said, "because fusion power plants will have both types of heating."